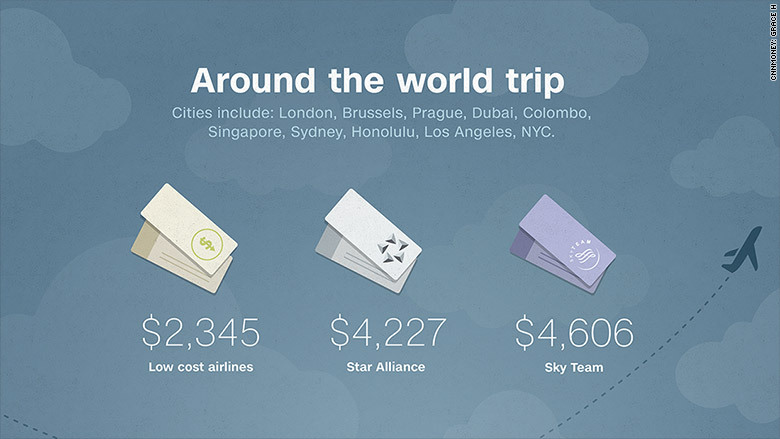 Flying around the world may cost much less than you think. If you’re prepared to sacrifice an inch or two of legroom, pack light and stock up on snacks, you could do the trip for as little as $ 2,345 on low-cost carriers. CNNMoney’s Editor at Large Richard Quest has just embarked on such a trip. Using 10 low-cost airlines, Quest’s journey takes in nine countries in eight days. The total price of Quest’s flights came to $ 2,345, roughly half what he would have paid using traditional airlines. He booked the cheapest available seats and opted not to eat airline food. The same trip using carriers from the Star Alliance, which includes Lufthansa (DLAKY) and United Airlines, would cost at least $ 4,227. Flying with Sky Team, which groups Delta (DAL), Air France (AFLYY), and KLM, would be at least $ 4,606. Quest set off from London on Saturday, stopped in Belgium, the Czech Republic, and the United Arab Emirates, and is now heading to Sri Lanka. He’ll fly on via Malaysia, Singapore and Australia, before touching down in Hawaii, then hopping via Los Angeles to New York for the final leg to London. The cheapest journey on Quest’s itinerary is a flight from London to Brussels, which was just $ 24 with EasyJet (ESYJY). Another short flight from Brussels to Prague cost just $ 25.60 with Ryanair (RYAAY), Europe’s biggest budget airline. 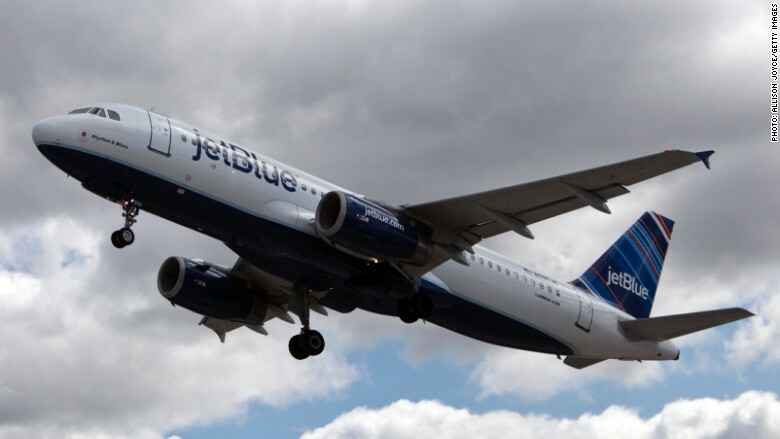 The most costly is the domestic flight between Los Angeles and New York, which cost $ 482 with JetBlue (JBLU). It was the cheapest ticket available but not the cheapest they would normally offer. The cheapest legs of Quest’s trip cost about $ 0.06 per mile, the most expensive $ 0.19. Follow Quest’s progress at CNN Business Traveler and @richardquest.